You guys, I'm so excited to be writing this post in particular. Throughout this year in the LULA Journal, I have tried to post monthly recaps of the previous month and share goals for the coming one, and though they always feel like my hardest posts to compose (pictures, explanations, et al), they are the ones I am most thankful for looking back. This year looked nothing like what I had thought it would, yet, when I looked back over my 2017 goals from last January, one thing clearly stuck out - God heard my hearts desires and adjusted my plans accordingly. I had great ideal goals, but what I was putting on my schedule wasn't going to get me there. It took full-steam-ahead booking at the beginning of the year, taking fertility medicine and deciding it wasn't for me for right then, experiencing my first bout of anxiety and panic attacks even during work, having to stop taking clients, then dropping clients that I already had booked (the worst feeling but best decision ever), to get me on a track where many of these goals were not only possible, but imperative. I used the Powersheets, and this page is "What Fires Me Up"
As it pertains to LULA, even the fact that the only goal related to it was number 7, and it was so very paired down, says so much about what my heart was feeling and needing, even in January. 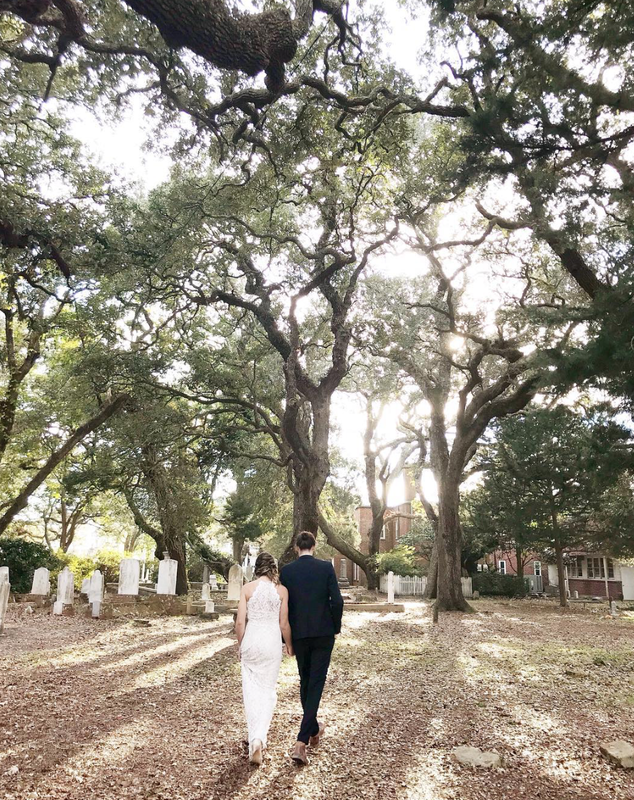 In March, when I made the decision to put a hault on my wedding bookings, my anxiety was at an all time high. I felt completely out of control. Spending extended time with Jesus was my lifeline. I would wake up and go straight to the couch, lay down, and put on worship music. John would pray over me. I felt so helpless, and I think that's where God knew I needed to really be - to acknowledge my helplessness and dependence on Him. I had to face and deal with my disappointment. I had to face and deal with a bustling business that wasn't brining me joy anymore. I wouldn't have penciled that into my planner, but God held my hand and walked me through a land I couldn't avoid anymore. True self care became more important and interesting to me than beauty and style trends. Eating healthy meals from home became super important for us. I wanted to feed my body healthy, nourishing foods to assist the healing process in my body, mind, and morale. John helped so much, and cooking together gave us time to process and chat. On days that I didn't work, I would focus on sleeping in, spending time with God, and taking it easy. Working out became one of my priorities and a great way to get me out of the house. I did classes that challenged me and made me feel strong, and it helped my mood a ton! Friendships forged in this time that helped me laugh and feel less ashamed and alone. Hearing "me too" is one of the most healing things ever! They dug in deep and weren't afraid of the truth of what I was dealing with. They stood with me in prayer and trusted me with their own needs, too. We planned times away to celebrate life and be with God and each other, and protected those times instead of adjusting them when other things came up. We visited the beach, celebrated our anniversary with a beautiful trip to DC and Maryland, visited family and friends, John sent me to see one of my dearest friends in Nashville for my 30th birthday, we did a just-for-fun fall trip to the NC mountains, went to the beach for our sister's wedding, and are dreaming up all the traveling we want to do next year. Our marriage was strengthened in the fire of spiritual warfare and life changes, thanks to an amazingly patient and caring husband, the Holy Spirit, great tools, and family that stood beside us. My 2017 goals came to pass in a way I never imagined they would, and I wouldn't do it any differently if I had the chance. I feel truer to myself, on the right path, healed up (and still going!) and I am enjoying dreaming again! Hi beauties! How was your November? To be honest, I can't believe it's already December - I haven't stopped to really consider all that has happened in November, but I just know it was a lot! A lot of great things, memories made, laughter, family time, a couple of tough moments, and celebrating. Road-tripped to the Outer Banks with Nancy to do a tag-team hair/makeup and photo session for my cousin's engagement photos! Met with one of my favorites (& designer of this website) Sarah of Native State Design to dream about some creative endeavors I've been combing through over the last several months, hopefully to come to life in 2018! Partied hard at the Southern Weddings Volume 10 Launch Party! What a fun night to dress up to the nines, celebrate a beautiful print magazine & their team, & hug people I love but don't often get to see outside of a wedding day! By the way, did you see this editorial I was a part of? Did hair and makeup for my sister-in-law and one of my dearest friend's, Jess', wedding! I was running behind with HAMU, I was sweating like a pig, I remembered what it's like to be IN a wedding whilst getting hair and makeup done (& have a renewed sense of purpose to provide as much structure, peace, and stability as possible to my clients!) It was SUCH a beautiful day! Joanne & Amy joined as well to help out the rest of the girls, and did a fantastic job as always! 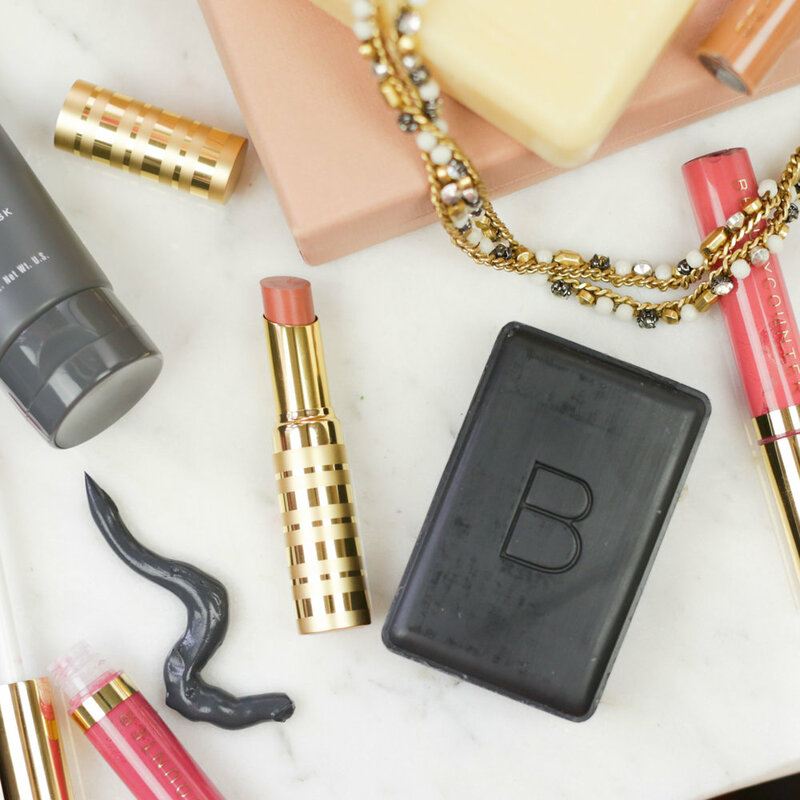 Joined Beautycounter! After a ton of time, a ton of thought, trying out product, reading up extensively on the business, purpose, and mission. Click here to read why I chose BC for me and for LULA, and click here to shop with me! Facetimed with my sweet friend Rhi of Rhiannon Bosse Celebrations and got encouraged about business, taking time away, the highs and lows of social media, and dreaming of 2018. It is SO good to connect with other business owners in your industry to be encouraged and uplifted! Left for the beach and celebrated all week long for Jess and Kyle's wedding!! Woohoo! Had a Thanksgiving Eve surprise date-night with John to Brewery Bhavana at the bar - Pork Bao, trust me on this one too! Made the most kickass apple pie - I use this recipe from BHG every Thanksgiving and it's not for the faint of heart, but it is SO GOOD. Celebrated Thanksgiving with my husband's family on T-giving day, then my family on Saturday. On the day in between, we hiked part of the MTS trail in north Raleigh and the day was just the finest Raleigh in the fall has to offer. We got our tree - at Kroger : ) Nothing like good prices and simplicity sometimes! Decorated our tree and our home for the holidays! Dealt with a little surprise meltdown moment, only to realize I was still dealing with loss - it was the 2 year anniversary of being pregnant, our only time conceiving in the last 3 years. What a journey! God is good and present through it all! Reading Animal Vegetable Miracle still, and finishing up the last chapter (December) of The Life-Giving Home. I highly recommend both of these for your 2018 reading list! Trying to wake up a bit earlier to enjoy more daylight and have extended morning time to do all the things I like to do - time with Jesus, a few chores, breakfast, and working out. Going well so far! What an amazing year. I really want to thank you, my kindred friends, for supporting me through so much change this year! It wasn't easy, but I'm glad I told you all about it. I really believe that being vulnerable and transparent is one of the strongest tools God uses in us, to encourage one another, bridge the gaps of isolation, and do some real healing. I'm really thankful for you! I can't wait to see what 2018 brings, and I can't wait to share what I've been dreaming up for all of us. Thank you for your patience, your kindness, and your encouragement with and to me! Attend a few parties as well! Get back in the gym with all the pre-wedding gusto I had a few weeks ago! It really does make me feel so much better physically and emotionally! How can I encourage you this month? Message me or comment below. Do you have goals posted - link em! I wanna cheer you on! For the holidays, I love purchasing as much as I can from local small businesses & artisans. Even if you're not from my area (Raleigh, NC), many of these stores have online shops, or you can look around your area for some great local options! When you shop local, you help someone's real dreams come true, you help someone's real bills get paid, and you foster richer economic growth in your community! 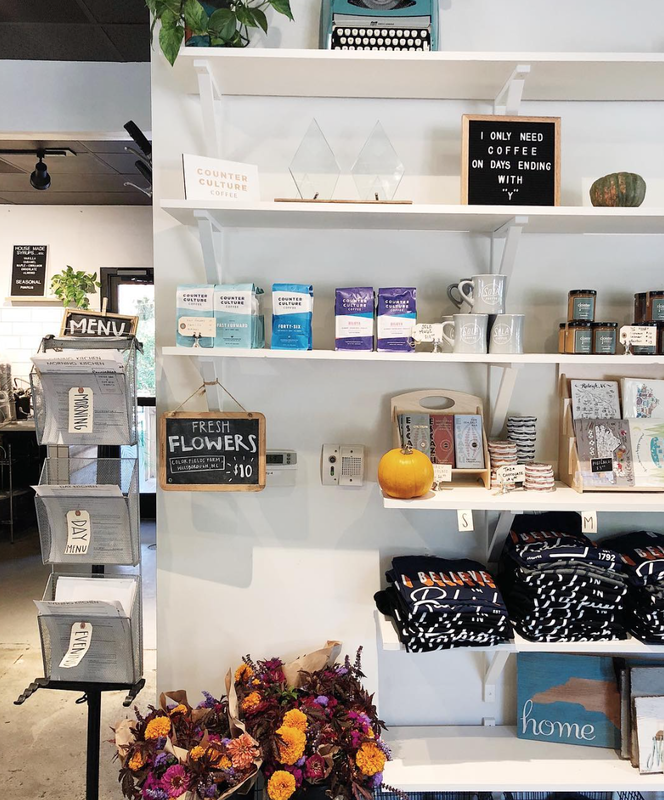 Nestled in the side streets of Gleenwood South, The Flourish Market is providing sustainable, on-trend clothing and accessories with a purpose. They "partner with 40 brands that work all over the world, providing dignified jobs and fair wages to inspiring artisans and makers in vulnerable communities." Em, the owner, is one of the most passionate and kind people I've had the privilege of meeting, and I try to send people her way as much as I can. Cageless Birds is the creative family/community surrounding worship leaders/songwriters Jonathan David & Melissa Helser, based in the Triad of NC. 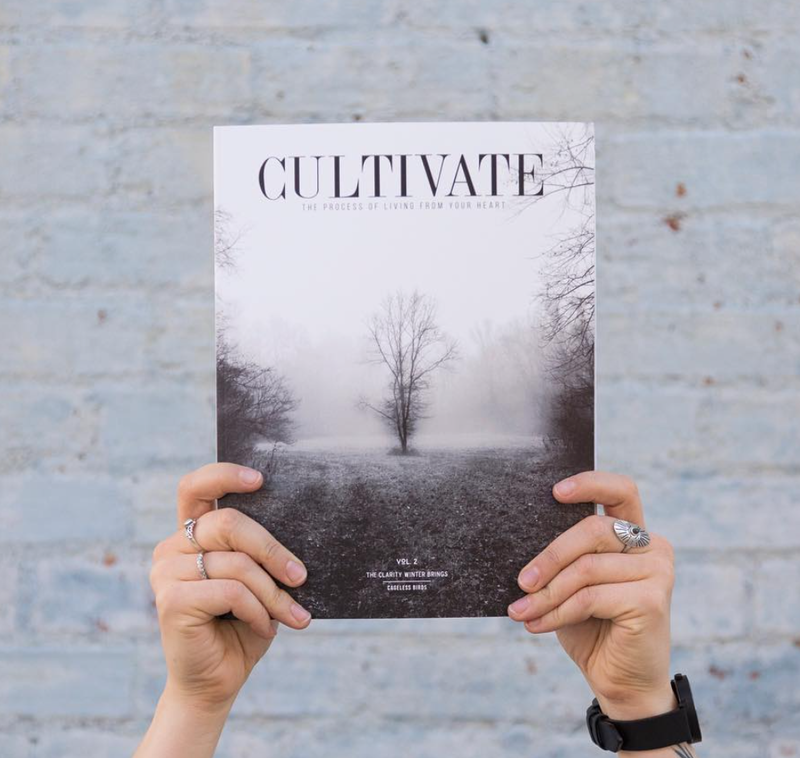 They create beautiful handmade goods, have discipleship schools, and curate the Cultivate interactive magazines. I ask for one of their handmade leather journals every year twice a year, for my birthday and Christmas. 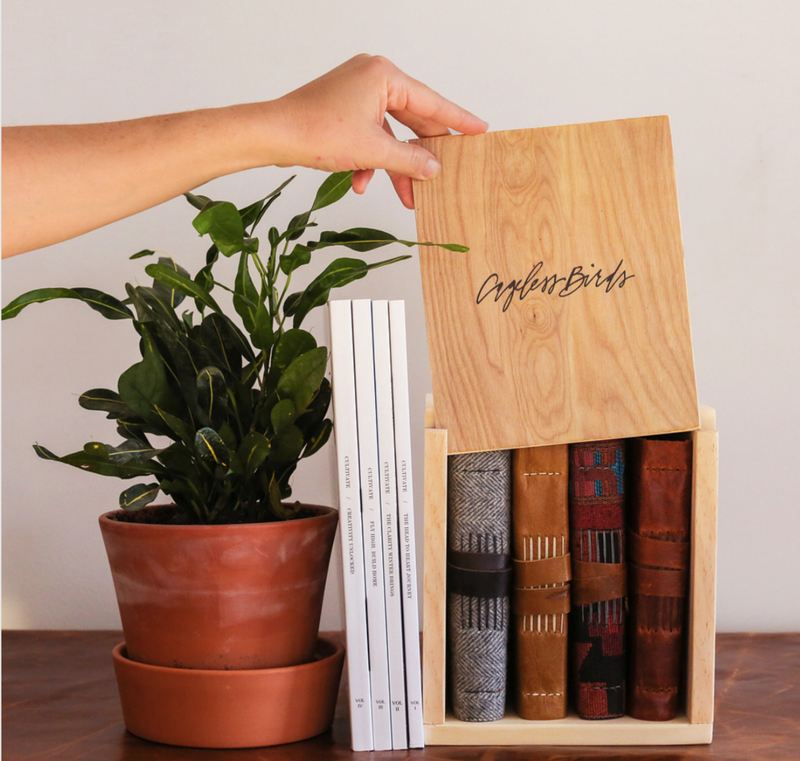 I imagine my kids and grandkids finding & flipping through the sturdy, timeless pages bound in natural leather, and also love that all the pages are unlined. 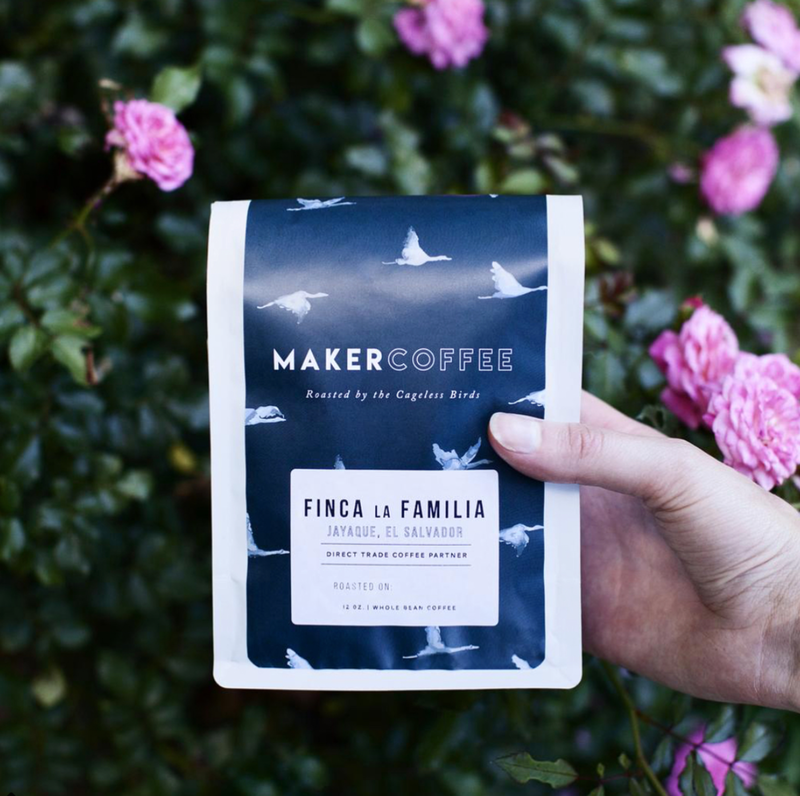 I also highly recommend Maker Coffee which they roast/package on their land, as well as the Cultivate magazine! Shop via their online store. Sola is a coffee, cafe, and shoplet in North Raleigh with a strong love for community and their neighborhood. Not only do they have delicious high-quality coffee and yummy food, but they often have live music and pop-up markets, which so many people love! They usually try to keep their markets close to major gift-giving holidays, so keep your eyes peeled for a Holiday market. But if you miss that, peruse some of the goods they keep on-hand in the store all the time. So, these are three different shops, but I like to think of them as a trifecta for those visiting in person. You need to go to all 3, as they are all right beside each other! 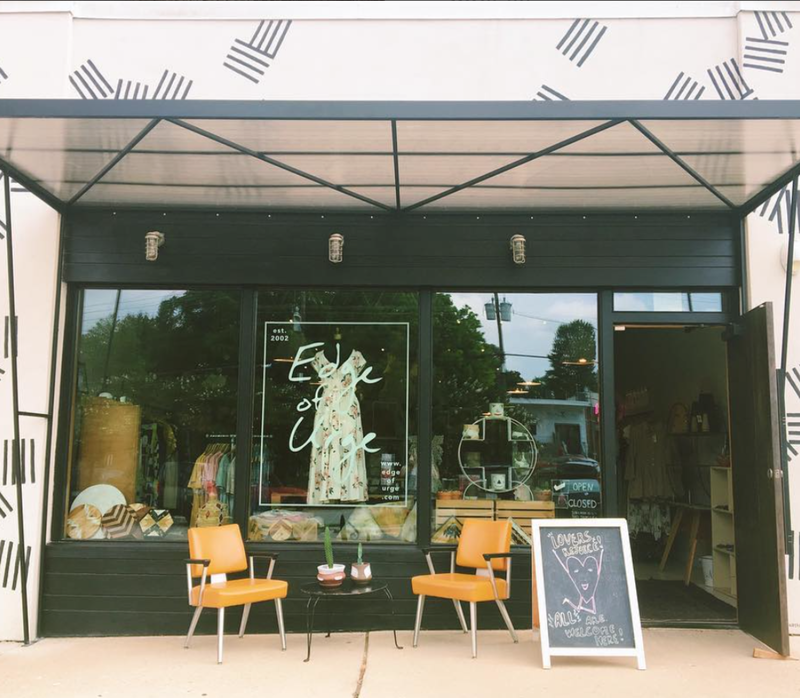 Edge of Urge is a store mostly for ladies, carrying all sorts of lovely & quirky giftables including local jewelry, accessories, clothing, paper goods, & trinkets. Next door is Lumina, the mostly-for-men store perfectly curated for the style-and-utility conscious man. Think oodles of leather goods, all-natural beard oils, weather-proof pocket notebooks, artisan pocket knives, wood-smelling candles, and general adventuring & outdoorsy spirit. Then you'll want to go grab a coffee, pastry, & loaf of fresh bread at Yellow Dog Bread Co. Their sweet bread loafs & gift cards make great hostess gifts! Another situation where if you go to one, you need to go to both! They're right beside each other and bring strong retail presence to the Boylan area of downtown. Bryan, manager at Holder, has curated a beautiful, fascinating, and warm collection of vintage, antique, modern, and handmade items perfect for gifting to those with a keen eye for design. John loves the pocket knives with handles made of antlers, and I have found a few great books including a vintage Trees of NC booklet, as well as some turkish towels. And please, please, PLEASE go do yourself the biggest favor and pop into Boulted next door. They were voted one of the best croissants in America by Food & Wine (and having traveled all through Europe, I can say they rival anything I had from their bakeries! ), they grind their flour on site, and I haven't tried one pastry that I don't love! Try the chocolate croissant or morning bun if it's your first time! Are you located in Raleigh? What do you think of these picks? Have any more to add? If you're not local, where are you from? What are some of your favorite local shops in your area?